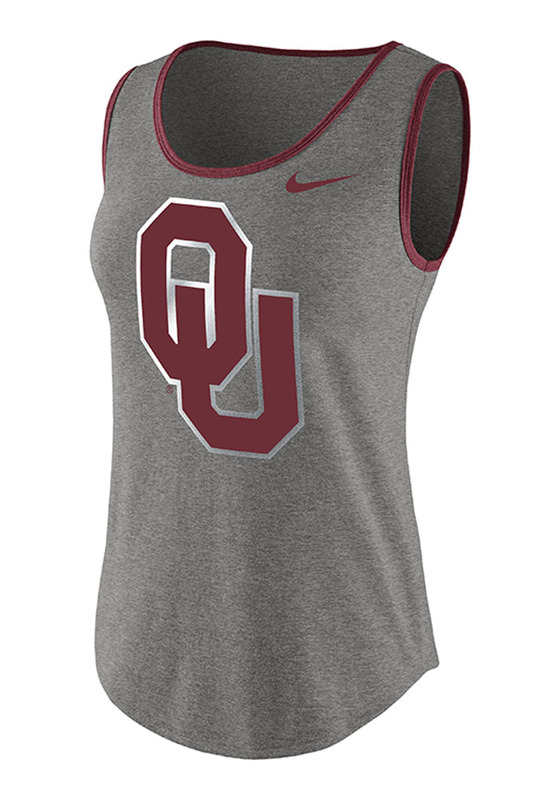 Give your tailgating look a cute update with this Oklahoma Sooners Womens Tank Top! Look good and stay cool in this Grey Standard Sleeveless Shirt. 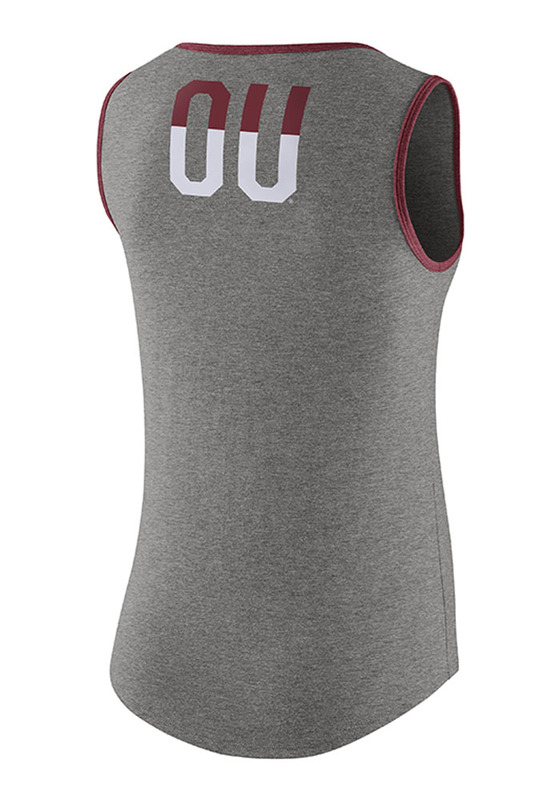 This Oklahoma Tank Top features a screen print team logo at center chest; team verbiage at back neck; team color pop stitch at hem.